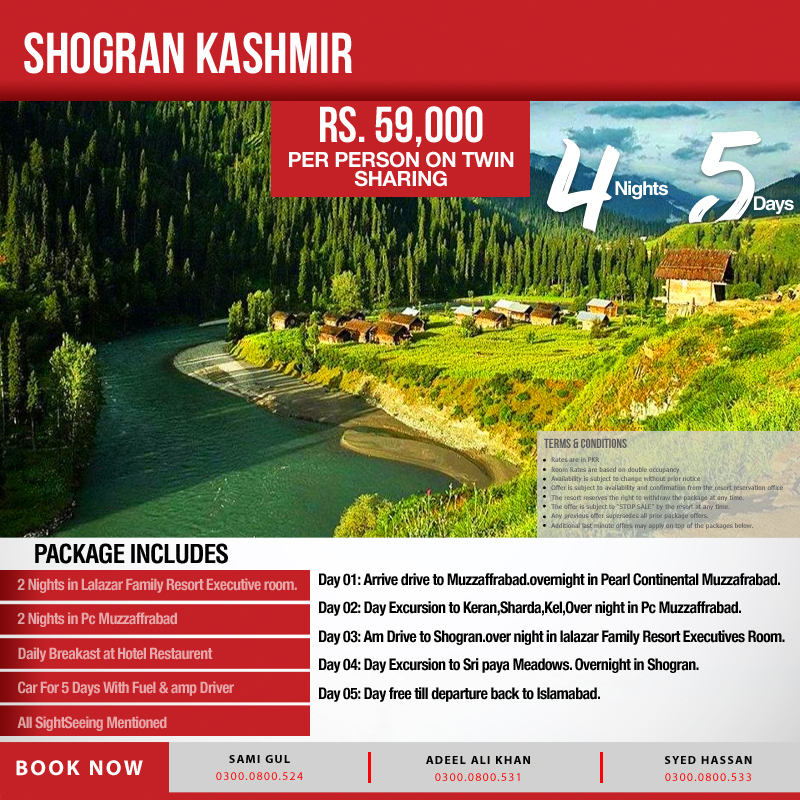 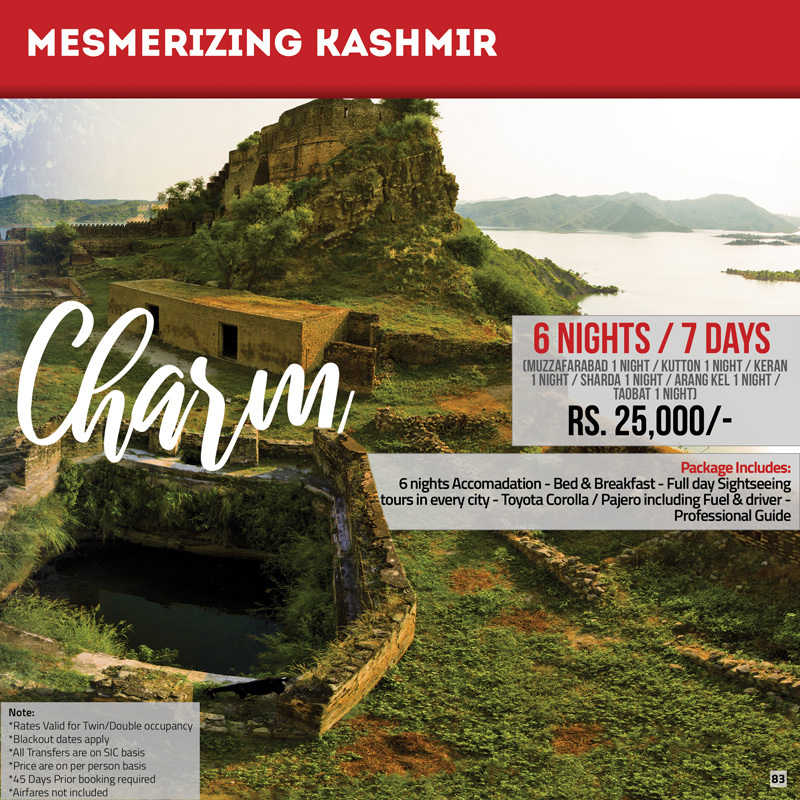 Mesmerizing Kashmir Tour with 6 Nights accommodation bed & breakfast with sightseeing. 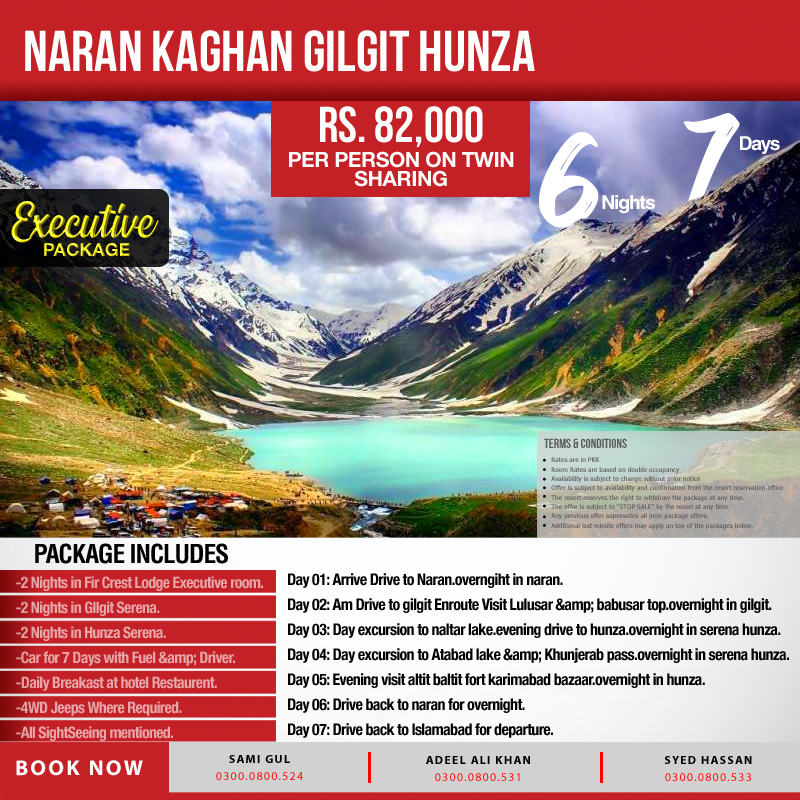 NARAN – KAGHAN – GILGIT – HUNZA tour with 7 days fuel & driver, daily breakfast and sightseeing tours. 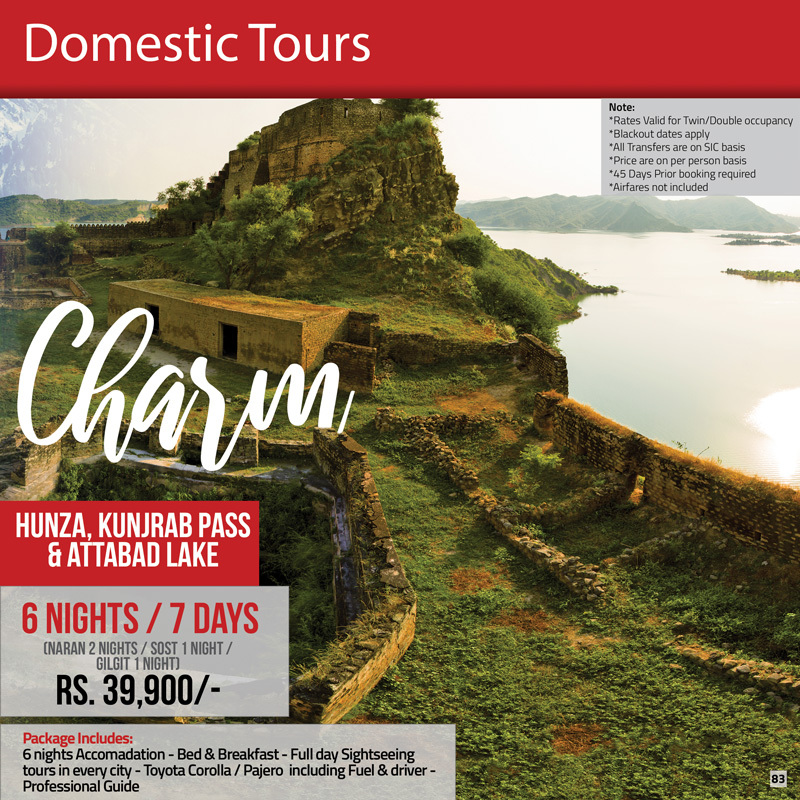 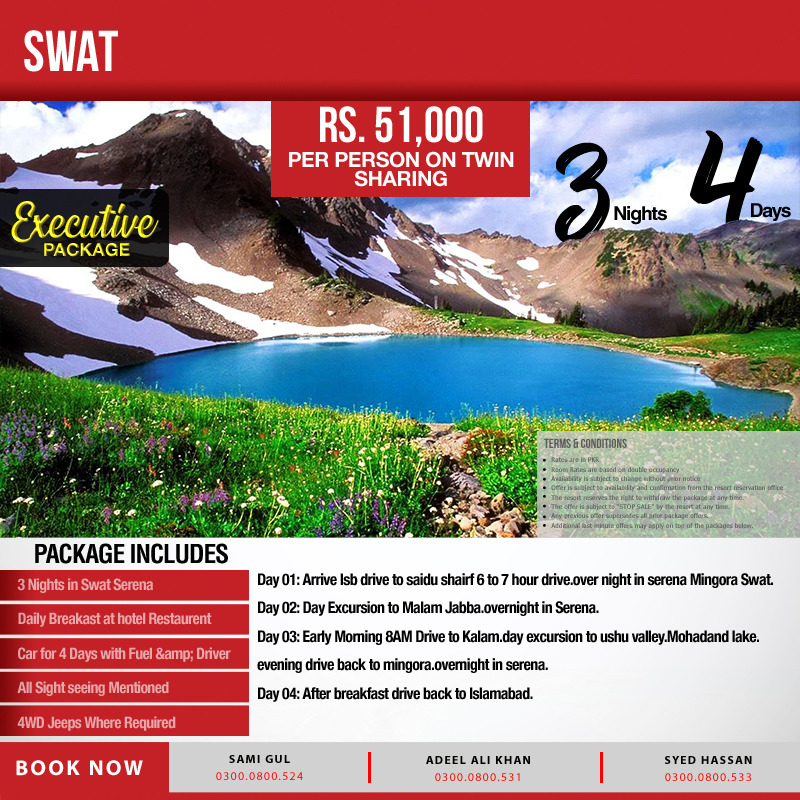 Swat Pakistan tour with 3 nights in swat Serena, Daily Breakfast 4 days fuel and car & driver. 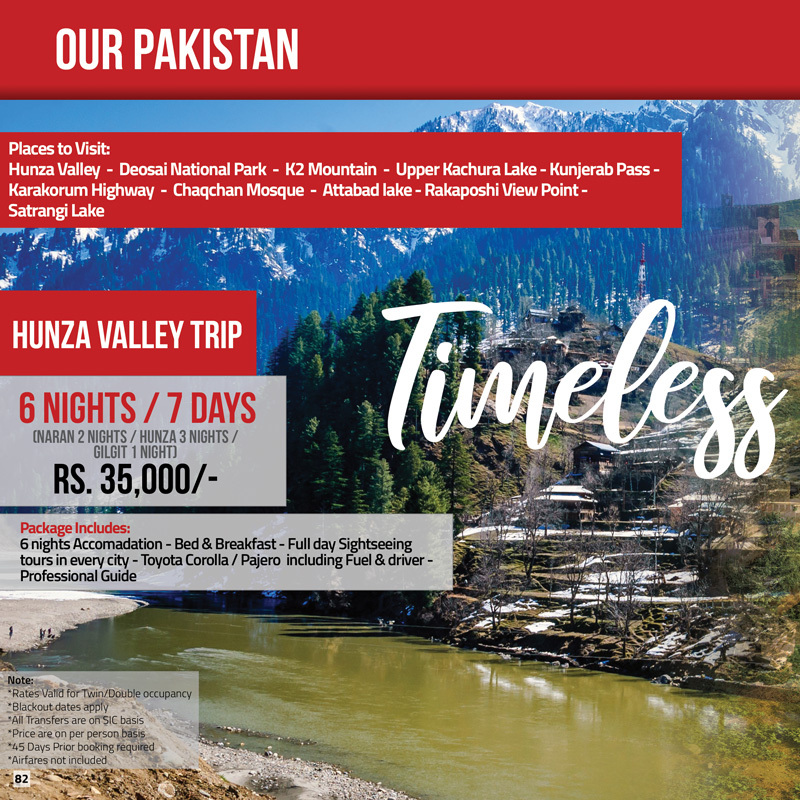 All sightseeing mentioned. 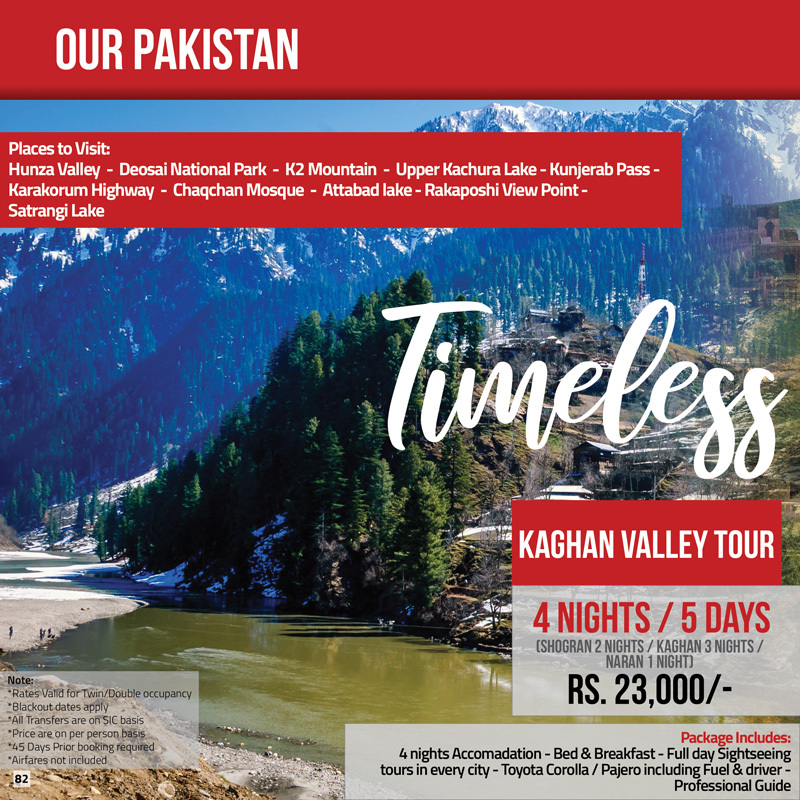 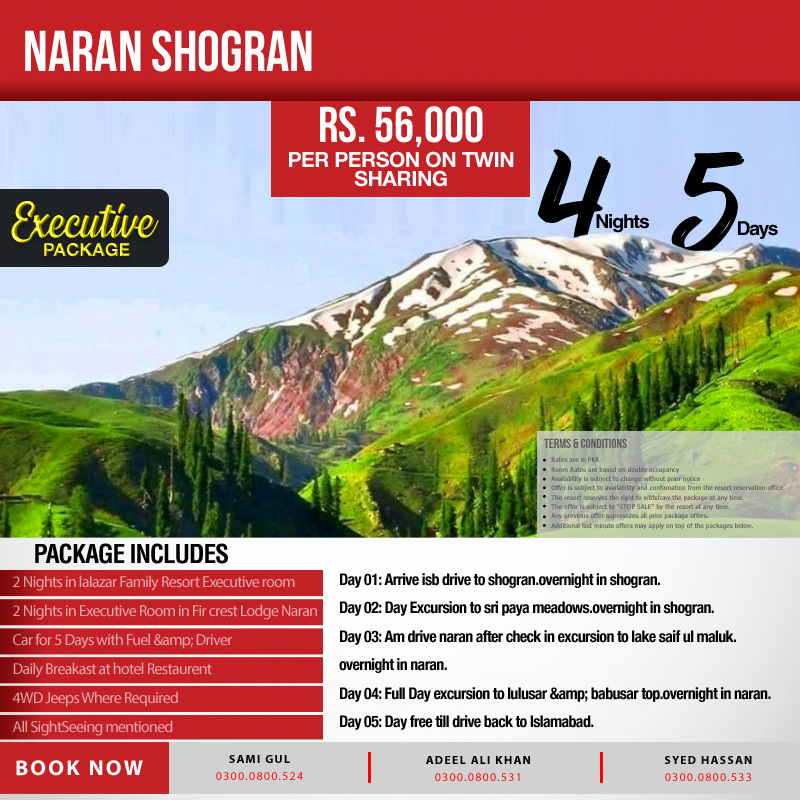 Naran and Shogran tours with daily breakfast & hotel, Lalazar family resort and fir crest lodge stay with fuel & driver.